We have a friend  I’ll call her “Janice”  who hates the desert. She especially hates the Chihuahuan Desert, where she lives only because of family and business ties. Janice yearns for the eastern and southern states, with the lush green of the forests, the vibrant colors of fall, the richness of the sunlight, the greater frequency of rainy days, the seafoods of the dining table, the stately symbols of the English-rooted historical heritage, and the vibrancy of the cities. She feels put off by the desertthe colorlessness of basin vegetation and sand dunes, the stony faces of mountain foothills and talus slopes, the harshness of the noontime sunlight, the frequent southwest dust storms of spring, the zinging spiciness of the foods, the humble adobe symbols of our Spanish Colonial and Anglo territorial heritage, and the languid heartbeat of our communities. My wife, Martha, and I also miss certain things about the eastern woodlands  the green, the autumn color, the merciful rain, wonderful seafoods, the history and dear old friends  but after living in the Chihuahuan Desert for almost a quarter of a century, we feel closed in by the towering trees of the east and the south, depressed by overcast days, bored by the many bland foods, indifferent to cookie-cutter housing, and vaguely threatened by heavy traffic and pressing crowds. We have come to relish the elemental simplicity and power of our basin-and-range Chihuahuan Desert landscape, with the warm light and long shadows of sunrise and sunset, the towering and booming thunderstorms of late summer and early fall, the mountain snowstorms of the winters, the nighttime howls of the coyotes, the “red or green?” query at the Mexican food restaurants, the intensely human history within the time-burnished adobe walls, and the languid heartbeat of our communities. 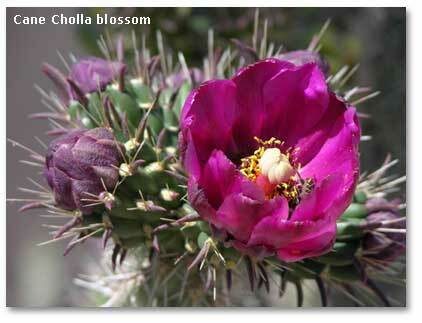 I love the Chihuahuan Desert, too, in the late spring and early summer, as it stirs after a drowsy season of chill. It is a time that invites you to turn your attention, not so much to the broad desert landscape, but rather to the details, those miniature jewels of life that spring from stone and sand. In the sandy, honey mesquite-covered grasslands of the desert basins, you will find a bewildering array of prickly pear cactus species celebrating late spring and early summer with an elegant and diverse show of blossoms, with colors ranging from yellow to orange to purple. Some species, well armed with thorns several inches in length, threaten anyone who would examine their blooms too closely. Others, equipped with spines a mere fraction of an inch in length, seem much more friendly, although they can inflict a stinging wound on those who would get too cozy. In Mexico, you will discover prickly pear pads (nopales in Spanish) and the fruits (tunas) sold in the street markets (mercados). You would use the nopales in fresh vegetable salads and the tunas in jellies. 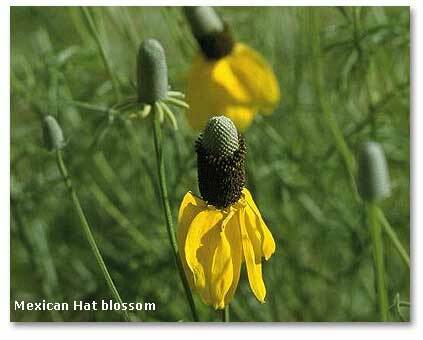 Near the edges of the playas, you may discover the Mexican hat in bloom. The flower, shaped like a sombrero with a high green crown and a droopy yellow or reddish brown and yellow brim, crowns a slender stalk two or three feet high. It may bloom deep into the summer if it receives sufficient moisture. Easy to cultivate, the Mexican hat (one of the cone-flowers) has found a home, not only in the xeriscaped yards of the Southwest, but also in the lush gardens of Europe. 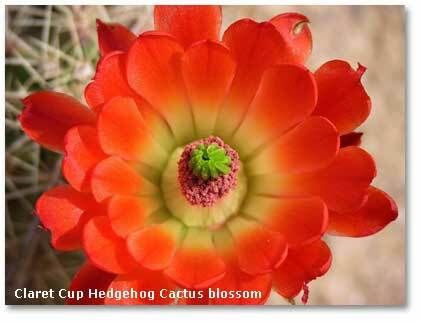 On the rocky and sandy rises of the basins, in the midst of intermingled communities of lime-green Honey Mesquites and dull-green Creosote bushes, you often find a startling cluster of cup-shaped, scarlet blooms that proclaim the early-spring awakening of the wickedly spined Claret Cup hedgehog cactus. The blossoms, sometimes so dense that they resemble a miniature explosion of flowers, remain open day and night, in full bloom, for as much as a week. The plants with large clusters of stems, which are shaped much like prickly cucumbers, have grown over a number of years. The fruit sometimes furnished a meal for the Indians, although, some say, it often produced a fine bellyache. In a late springtime or early summer odyssey, you will certainly encounter the Tangled Fishhook cactus, the Cane cholla and the Soaptree Yuccaall in bloom. The Tangled Fishhook, a sullen plant only a few inches tall, produces small pale blooms, usually in July. Densely shrouded with fishhook-shaped thorns, it often grows in large colonies. It belongs to the mammilaria (“breast shaped”) genus of plants, some of which the Native Americans used as powerful hallucinogens during vision quests. The brushlike cane cholla (sometimes called the tree cholla, the walking stick cholla or the jumping cholla), which can grow 10 feet high under favorable conditions, produces veritable bouquets of deep purple flowers. Don’t, however, be seduced by the beauty. Segments of its stems use their arsenal of thorns to “jump” out and grab you like a wicked witch. They break off and attach to your flesh, inflicting painful and prolonged stinging. The stems from dead tree cholla do make excellent strong and lightweight walking sticks, which you can buy in arts and crafts stores across in western Texas, New Mexico and Arizona. The soaptree yucca, with narrow, sharply pointed leaves that radiate from a center, often makes its home in shifting sand dunes. In late spring and early summer, it sends up bloom stalks that may grow some two inches a day until they produce a large cluster of white blossoms. Its flowers, strange smelling, serve as a home for the yucca moth, which pays its rent by pollinating the plant. In the well-drained foothills of the mountain ranges, which generally run north and south through the basins, you will encounter a new cast of desert plant characters, for instance, the fishhook barrel cactus, the ocotillo and the humble lichen. The fishhook barrel cactus, a large columnar plant with two dozen or so vertical ribs, has always reminded me of the bellows of an accordion. When rain falls on the desert, the cactus absorbs water into its tissues, causing the column to swell. The ribs flatten, like an accordion bellows being drawn outward. Between rains, the cactus depletes its store of water. The column shrinks. The ribs become more distinctly pleated, like an accordion's bellows collapsing. The fishhook barrel cactus, crowned with yellowish orange blooms in late summer, grows very slowly, husbanding its energy like a botanical miser. Following that prudent strategy, the plant may live for well over a century. If the barrel cactus stands as rigid as a desert fireplug in the foothills, the ocotillo looks like a spray of long and thorny batons, which wave vigorously to the beat of spring winds. More closely related to the primrose family than the cactus family, the ocotillo leafs out only if it receives a decent rain. It blooms, however, whether the rains come or not, with fiery red clusters of flowers tipping its long stems from May into June. In Mexico, you will find ocotillo fences that rural people have built from the stems of the plant. The stems have sometimes taken root, forming a living, thorny barrier that is far more effective than a barbwire fence. While the barrel cactus and ocotillo put down roots into the soil, lichens  a coalition of fungi and algae  cling like paint to the surfaces of stony outcrops, especially the rocks born of the magmatic interior of the earth. The lichens, which decorate their lithic hosts with patches of gray, green and a vibrant yellowish gold, rank among the world’s most durable organisms. They easily survive the temperature extremes of the desert. During periods prolonged drought, they simply become dormant, awaiting a rainfall to reawaken. They may live for a number of centuries, taking their place among the world’s botanical seniors. Along the drainages that channel water from the mountain ranges through the foothills into intermittent desert streams and playas, you will meet still other plant species, for instance, the colorful Indian paintbrushes and the desert willow. The showy and adaptable paintbrushes occupy a large range and diverse environments, growing from the lower mountain slopes into the higher elevations. Their summer and fall displays of red and scarlet are attributable, not to their rather modest flowers, but to their red-tipped bracts (much reduced leaves that have the flowers springing from their bases). The bracts resemble miniature brushes that have been dipped in red paint. If the Indian paintbrushes shortchange their flowers in color, they make up for it with nectar so sweet that it holds strong attraction for the hummingbirds and butterflies. The desert willow, despite the long, narrow shape of its leaves, is not a willow at all. Rather, it belongs to that family of plants known as the Bignonia. While it holds a reputation for toughness and tenacity, it produces  through the late spring and into the summer  stylish, purplish flowers that look like small orchids. The nectar of the flowers attracts hummingbirds, butterflies and carpenter bees. Should you be so inclined, you can  according to folklore  use treatments concocted from the desert willow’s flowers, seedpods or bark to prepare a treatment for a cough, cut, heart problem or even athlete’s foot. 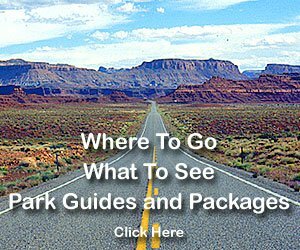 If you’re paying attention to the details of the desert, you might make it a special point to be on the lookout for rattlesnakes, particularly during the warming days of late spring and early summer. 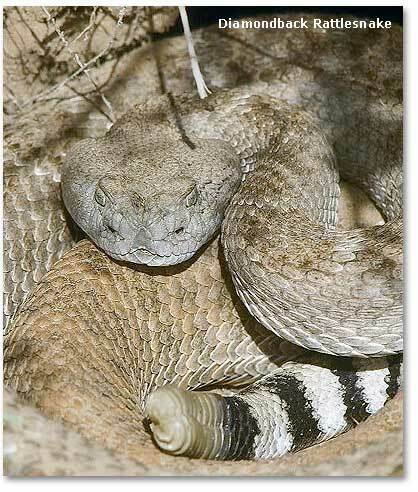 For instance, the western diamondback, the largest of the rattlesnake clan in the desert Southwest, may be “the most dangerous North American serpent, often holding ground and boldly defending itself when disturbed,” as Robert C. Stebbins said in his A Field Guide to Western Reptiles and Amphibians. Distinguished, in particular, by black and white rings around its tail, the western diamondback hangs out around “desert, grassland, brushland, woodland, rank growth of river bottoms, rocky canyons, and lower mountain slopes.” I once sailed with a maritime captain who kept a note at the helm on his ship’s bridge: “A shipwreck can ruin your whole day.” So, too, can a rattlesnake bite. 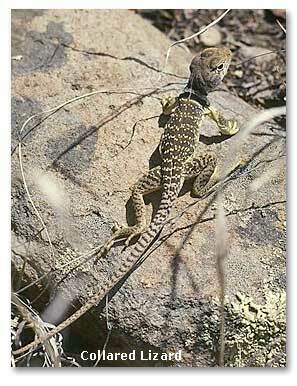 The collared lizard, with its disproportionately large head, powerful jaws and prominent black collar, raises a far less fearsome threat, although it can nip you hard enough to break the skin. The male stakes out its territory on rocky hillsides or in boulder fields. It basks on the stony surfaces, in the hot desert sun, during the late spring and early summer. It races nimbly, on its hind legs, across open areas, looking for all the world like a miniature Tyrannosaurus Rex. It preys on insects, snakes, other lizards, even small mammals. It carried the name “mountain boomer” where I grew up in the Rolling Plains of Texas, and if it bit you, it would not, according to local folklore, let go until it thundered. I subscribed to that belief completely when I was a small child, and when I saw a collared lizard, I raced away, looking for all the world like frightened prey. Now, Janice, our friend who hates our arid Southwest, just doesn’t believe me when I tell her that a lady bug will rush home in response to such an alarm. That’s o.k. For my money, I had rather talk to a bug in the desert than live through 10 days of constant rain on the Gulf Coast.